Look out Wilson—TriMech has rendered our own NCAA official basketball for March Madness this year. Check out what TriMech thinks about this year's bracket, our favorite teams and how we used SOLIDWORKS to get our logo on the game ball. Who is TriMech routing for? 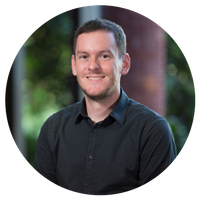 Having a footprint that covers the entire Eastern United States from Maine to Florida and out to Arkansas, TriMech has alumni from several schools competing in this year's March Madness Tournament. From the heartbreak our Richmond, VA office felt in the biggest upset in NCAA Division I Men’s basketball history when #16 seed UMBC, University of Maryland Baltimore County Retrievers, beat the University of Virginia, sitting at the #1 position in the NCAA tournament, to the defeat of Miami and Tennessee, our territories have taken the "L" like champs. "I will say… at least UVA was a part of history! Certainly not our most embarrassing moment, but it’s pretty close." However, we are also a SOLIDWORKS and Stratasys Reseller in states including Kentucky, New York, North Carolina and Ohio, which have all experienced huge wins in the "Big Dance", giving several TriMech offices teams to route for all the way into the Sweet Sixteen. Our Pittsburgh, PA office, on the other hand, is ecstatic that Villanova made it to the Final Four with triumphs over Radford (sorry, Virginia...again! ), Alabama, West Virginia and Texas Tech. Just as the 68 teams strive for greatness with each game played in the tournament and hope for a positive outcome, SOLIDWORKS users should do the same. Obtaining the appropriate training along with following best practices in modeling efficiently and effectively can show greatness inside of you to achieve certifications such as the Certified SOLIDWORKS Expert. By learning and practicing some advanced sketching and feature techniques, you can become a SOLIDWORKS MVP Whether you are finding your man on the court or finding your mate in SOLIDWORKS, shooting free throws or troubleshooting upgrades, getting the ball in the hoop or creating a ball joint in Simulation, the team that shows more heart will outperform the other teams. 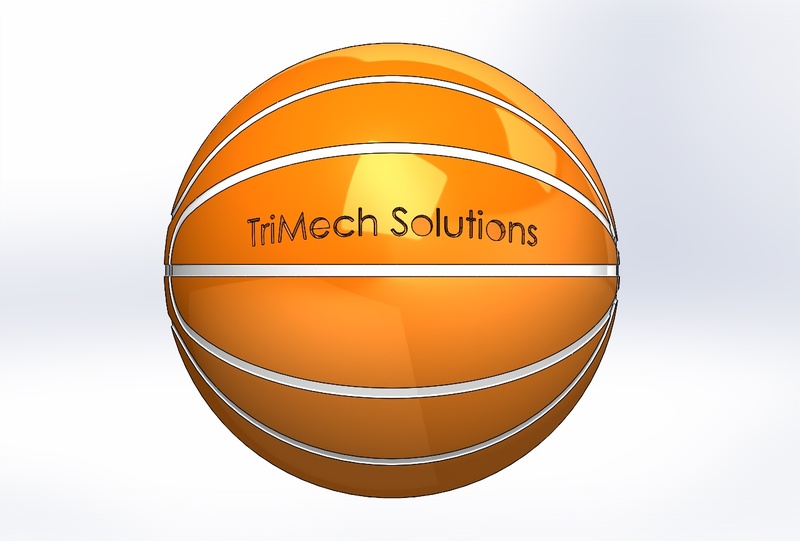 In the spirit of March Madness, TriMech takes on Wilson by 3D modeling a basketball in SOLIDWORKS. Watch the video below to learn how to use Part Reviewer, some advanced sketching techniques and to see us put our logo on the game ball. Leave us a comment below to let us know what you think about our basketball render and who you think will move down the stretch to win the National Title! #1 seed Villanova, #3 seed Michigan, #1 seed Kansas or #11 seed Loyola—who will it be? For more SOLIDWORKS demos, check out our video library!